The Dobsonville Mall in Soweto recently celebrated the grand opening of its exciting new extension in September 2017. It’s slated to introduce some world-class shopping experiences for its customers, bringing with it internationally acclaimed tenants looking to make inroads into the burgeoning middle class in the area. Owned by Vukile Property Fund, the leading JSE-listed retail REIT, the R114 million upgrade and expansion of the mall builds on the foundation of the centre’s strong trading and retailer demand, along with its well-documented popularity among shoppers from all economic classes. 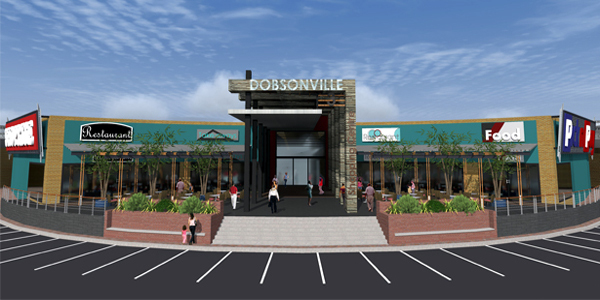 Estimates provide that Dobsonville Mall alone attracts more than a million shoppers each month. The landmark retail mall increased from its 23,000sqm to 27,000sqm. It has also been modernised in line with the very latest and most cutting edge retailer and shopper expectations, and has undergone a change of name from Dobsonville Shopping Centre to Dobsonville Mall. She goes on to convey that the innovative project converted office space alongside the centre, into better performing retail space, which now also links with the original centre. There is now an entirely new dimension to the shopping experience to the mall, including a fun food court. These are only a few of the attractions which will get more feet through the doors, and provide tenants with the great buying power of the empowered middle class in the area. © 2019 Retail Listings. All Rights Reserved.